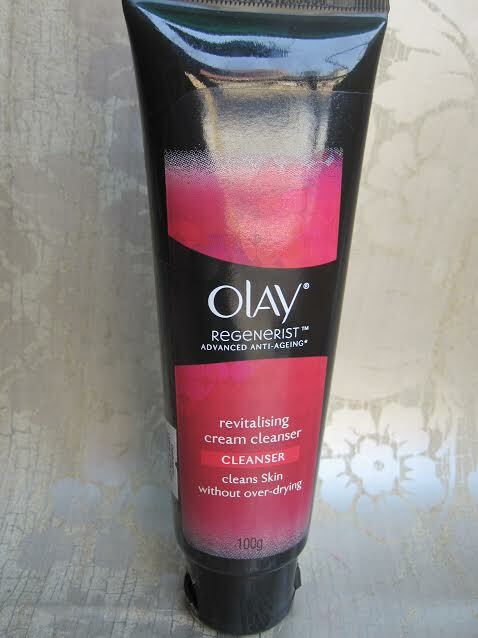 Today, I am going to review one of my favorite cleansers – “Olay Regenerist Advanced Anti-Aging Revitalising Cream Cleanser”. I have so many reasons to love this cleanser that I feel I don’t have the words to express. The product has worked wonders for my skin and I’m totally a fan now. Ask any woman her biggest fear and I’m sure it’s the tell-tale signs of ageing that start showing on the face. And the best way to deal with those early signs of ageing is to start taking proper care of your skin early on. The ideal time to start investing in anti-aging skincare is, when you enter into late 20’s or early 30’s. Prevention is better than cure, so start using skincare products that help to prevent those early signs of aging. Olay regenerist advanced anti-aging revitalizing cream cleanser is one such anti-aging superstar that tackles the enemy head-on. Now without further ado, let’s head straight to the review. The product comes in a black squeezable tube with a black flip-open cap, which shuts tightly making it leak free. The product is easy to carry around; the packaging is simple and convenient. The cleanser is cream based, so it has a creamy texture and consistency. It has tiny orange and red colored granules, which are great for mild exfoliation thus saving time for separate exfoliation. The consistency is very nice, little thick but not too much thick. It spreads very easily on face. The color of the product is off-white with orange granules in it. The cleanser has some chemical like smell, which I am glad fades away quickly after washing my face. The cleanser really worked out great for me, especially when I am acting lazy and I know have to cleanse my face as well as exfoliate it, that time this cleanser works as my savior and I get the best of both the worlds. The best part about this cleanser is, it is cream based. I just love cream based cleansers, even though I have combination skin for which, people generally recommend gel based cleansers but I cannot live without cream based cleanser. They just give my skin moisture and softness, which most other gel cleansers fail to do so. This Olay cleanser claims that it deeply cleanses the skin, which is totally true. The cleanser removes makes up and the granules while exfoliating the skin very well. The granules are not at all harsh on skin; even I use this cleaner on daily basis, as it gently cleanses the face. The mild cleanser is great for exfoliation without damaging the skin. The best thing about this cleanser is that, it cleanses the face without stripping the skin of its natural oil. This does not dry out the skin. This product is perfect for daily use. Only a little amount is enough to clean the whole face. The cleanser does not make the skin oily. It makes the skin soft and bouncy. This cleanser does not lather, so those who are looking for something which lathers, Olay regenerist cleanser is not for you. I love the way my skin feels after using this cleanser soft, clean, and supple. Using this cleanser feels like I have added some nourishment to my face. If you are looking for something which makes your skin squeaky clean, then this is definitely not for you. According to me, this product is really good for winters, when skin needs nourishment and it is ideal for dry to normal skin people. This is a fairly priced cleanser considering the fact; it has got a brand name attached to it. It is easily available in the market as well. -The consistency is very smooth and creamy. – The granules are great for mild exfoliation. – The cleanser cleans the skin as well as nourishes it. – The cleanser makes the skin soft and supple. – It hydrates the skin very well. -The scent smells a bit chemical and artificial. 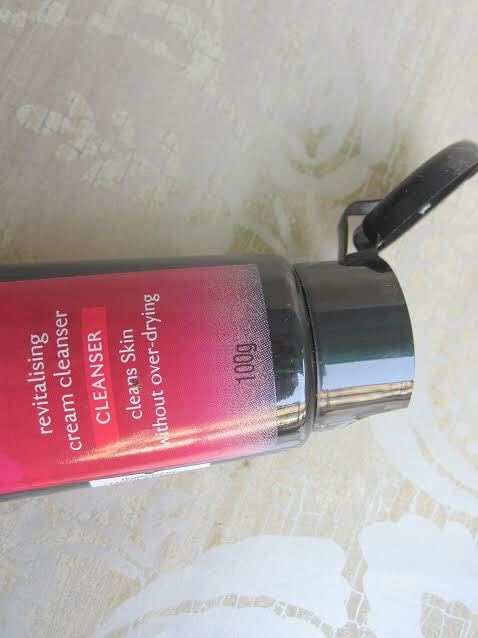 Overall, Olay Regenerist Advanced Anti-Aging Revitalising cream cleanser is a great product, those who are in love with cream cleansers like me, should definitely try this. It cleanses the skin very well and provides hydration too. It helps to add nourishment to skin. And given its performance and benefits for the skin, it is fairly priced as well, making it easily affordable and available. Also, don’t forget to check out reviews of anti aging cream and micro-sculpting serum from this range. Hi, keep up the good work.